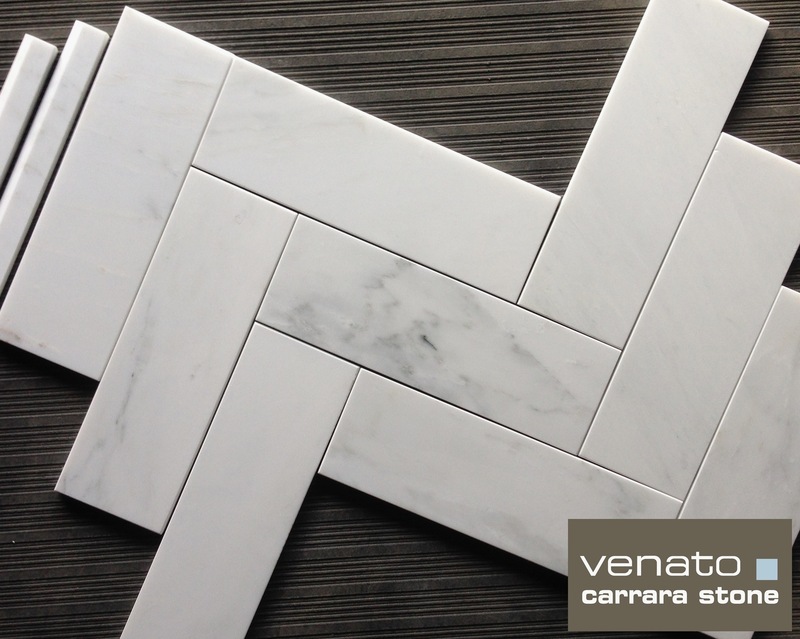 Carrara Venato 4×12″ Honed Subway Tile for $8.00 a Square Foot thru 2016. 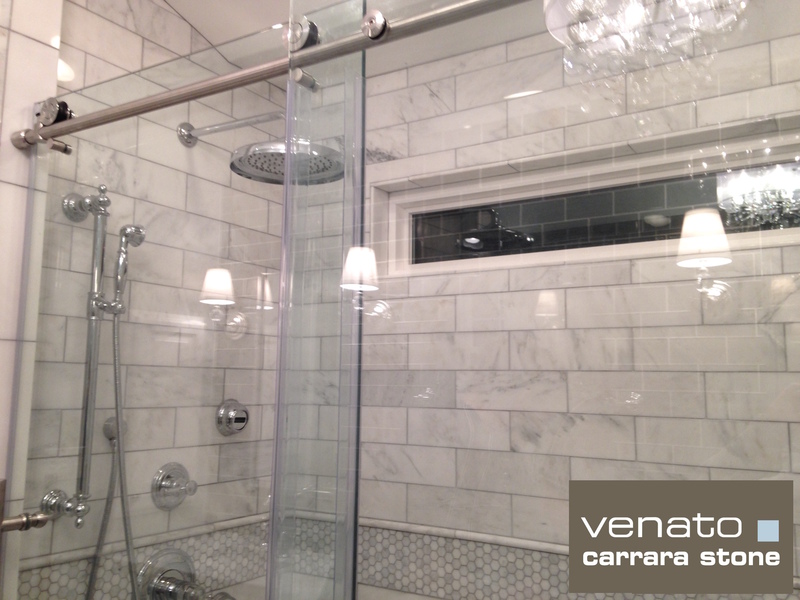 Coming out of the shower customer created a double vanity using Carrara Venato 4×12″ Polished Subway Tile. What can we say or comment. Very little. The installation is incredible. They have taken their time, blended the veining to insure that their are no “clumps” of Gray veining or white blocks. The tile has been well mixed and carefully selected. With the consumer giving the installer a range of tiles considered acceptable. The rest discarded. Over ordered by 20% to create a HGTV bathroom. In short that is the trick. A bit of hands on at the start. Only “YOU”. Only you know the look “YOU” want. 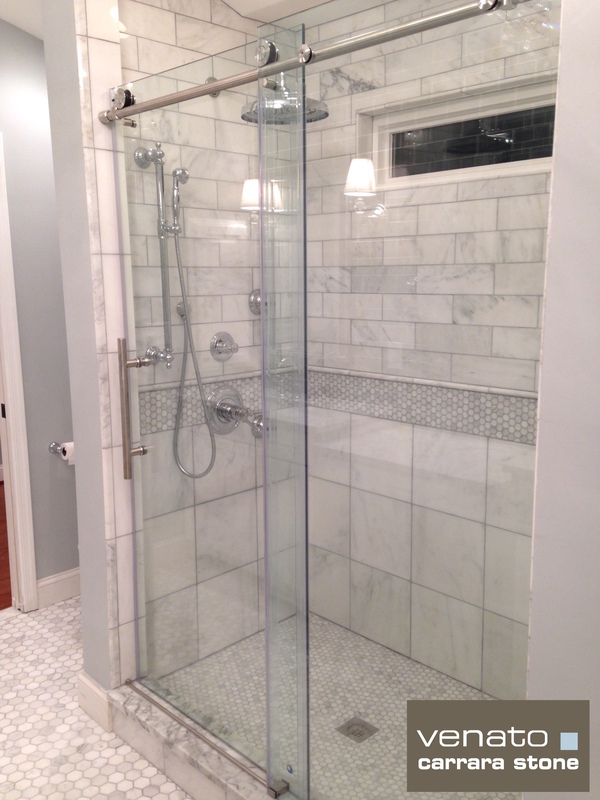 With one hundred and fifty square feet of tile you could create multiple looks. You should design and layout a small section, perhaps five square feet on the floor and then communicate talk to the installer about the design and flow of the veining. If you have paid for a qualified person he would do all of this before installing. He would ask questions like “How do you want the veining to flow?” If he is not asking this, I recommend reviewing his reviews and looking into his work more carefully. He maybe a wonderful tile contractor. Absolutely the best. But this maybe his first natural stone install. You do not want to be this guys learning project. Your bathroom is not his school of learning. A Classic but a Beauty. 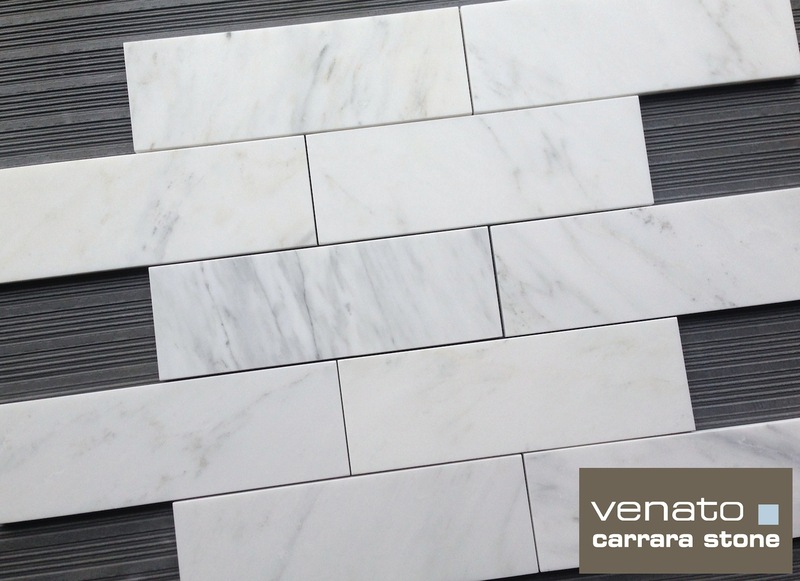 This is Carrara 4×12″ Honed ($8 Sq.Ft.) 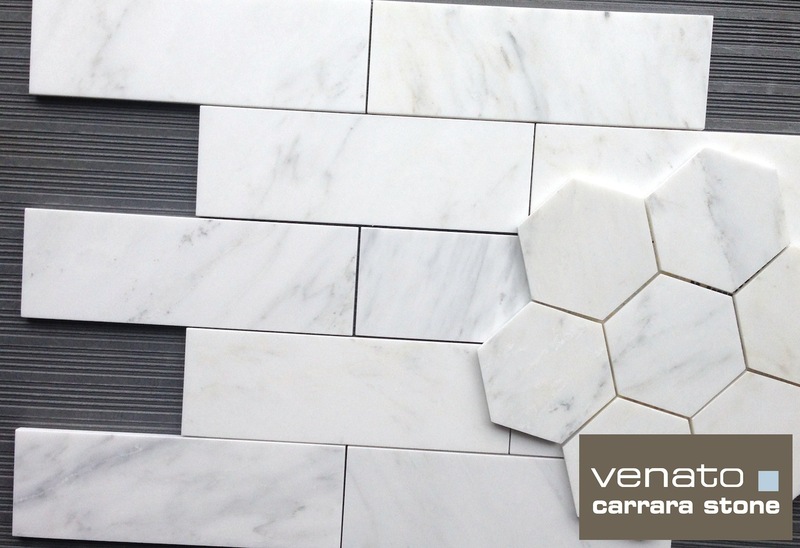 in the Shower and a Venato 2×2″ Hexagon Mosaic Honed ($11.75 Sq.Ft.) on the floor. The customer gave us his permission to share his comments as he sent us pictures. Attached is a picture of our master retreat/ dream bathroom in the house we just built. I purchased the marble through you guys at $8-$9 a square foot. This same tile would have cost me $25-$35 a square foot at the flooring and tile specialists in our area. When I told them about the products I saw on your site, they laughed at me and tried to play it off as “junk” marble much like they tried to downplay the big box store’s hardwoods as “junk” hardwoods. I know better than to follow their biased advice so I walked out of their stores time and time again. If it looks like marble, feels like marble, and smells like marble; then its gotta be marble. You can see by the picture, our dream is a reality and I couldn’t be happier with the quality of marble. Please use this email as a testimonial for those who are teetering between you and one of those “specialty” stores. 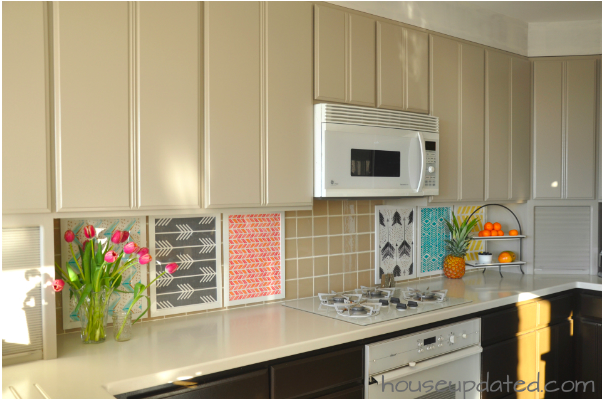 The tile that shows up at your house does indeed look exactly like the pictures online. I can even report that my tile installer reported not a single broken tile during shipping. With nearly 100 sq. ft. of tiles delivered across the country, this caught me by surprise. You guys also have remarkable customer service. Stephen, I was most impressed that I was able to send you my floor plan and you came back at me with estimates of how much I would need. Everyone else wanted to charge me $30 to $50 to come to my house to give me an estimate for how much I would need, they wouldn’t do it based off of the plans. Kudos to you and your team and their flexibility. My only regret is that I ordered so much extra tile based on some breakage, and that breakage really didn’t occur due to your high quality shipping. We also used less trim pieces than expected because of how nice the tile looked without it. So really, no regrets. You guys are great, and continued success to you! 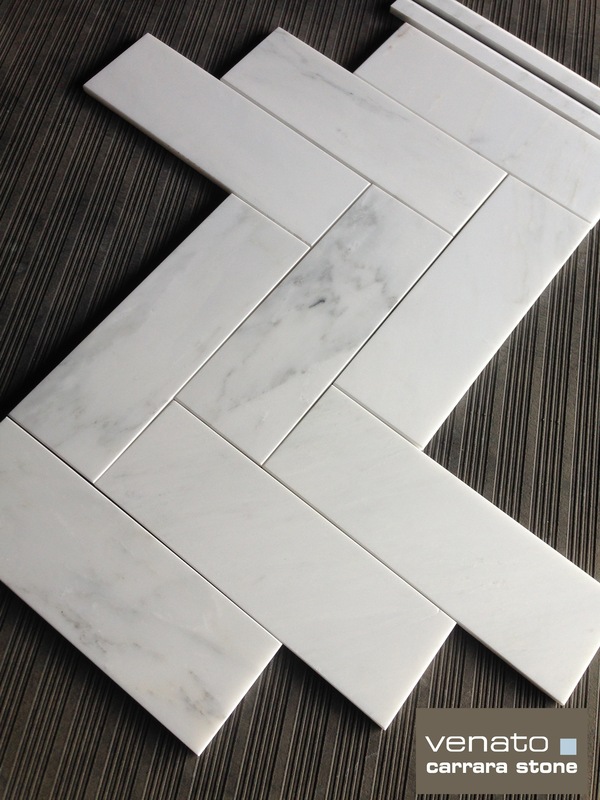 Our warehouse effort at laying the tile in a Herringbone format. But also looks great as a running bring format too.